The Ignite Split Shorts are designed to keep the active man on the move and in the comfort zone. 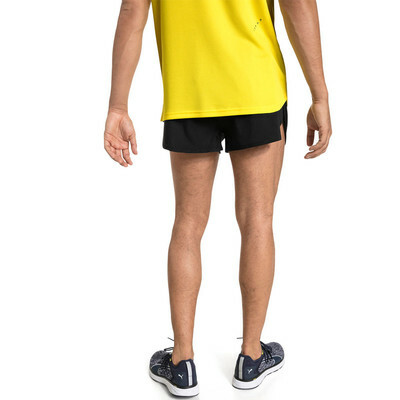 Puma's dryCELL technology helps keep you dry while reflective details keep you visible in low light conditions. 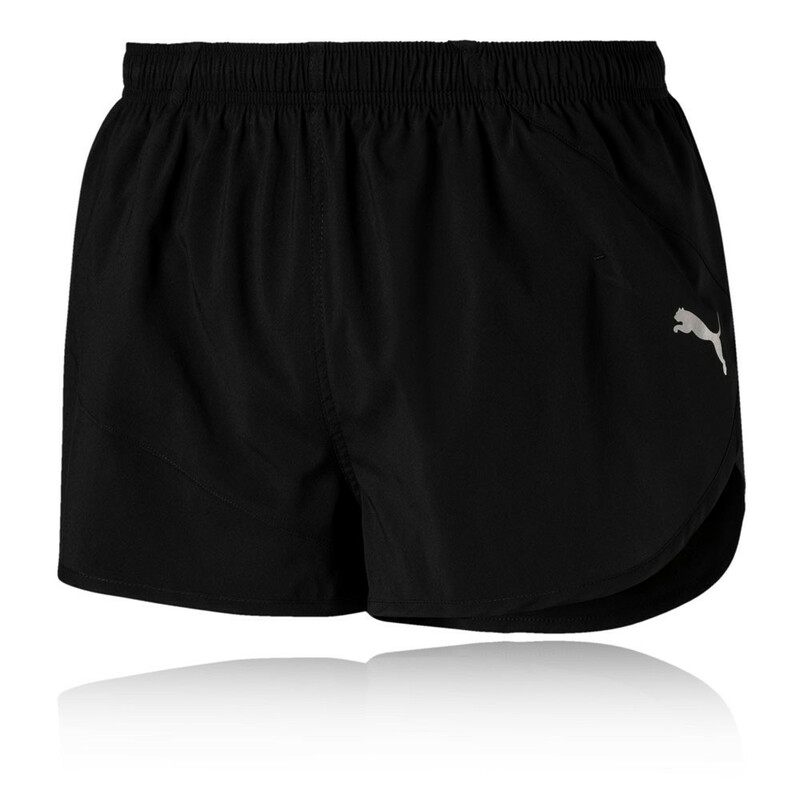 The Ignite Split Shorts feature Puma's dryCELL technology that works incredibly hard to wick sweat as it's produced. 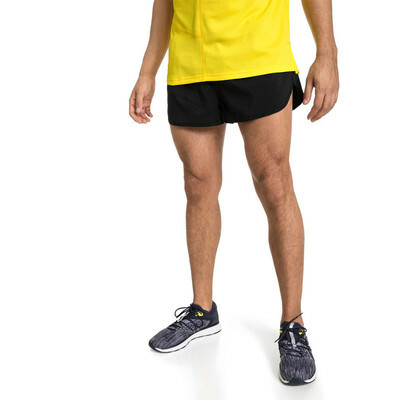 Once wicked, the sweat is transferred to the outer layers of the fabric where it can be easily evaporated, ensuring you stay cool, dry and comfortable. 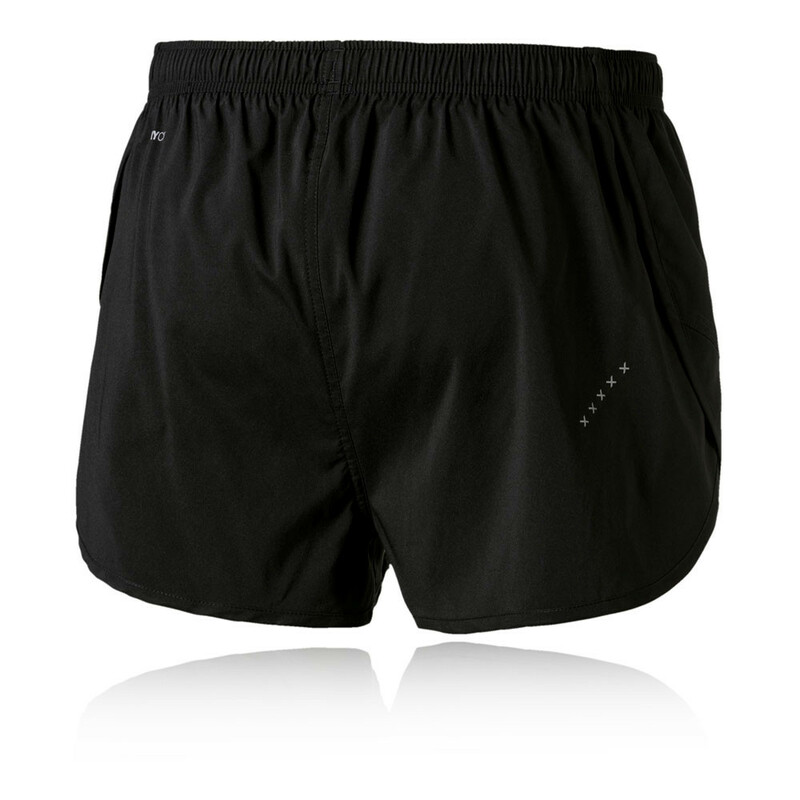 In addition, the shorts have mesh inserts that provide strategical ventilation, providing a constant supply of fresh, cool air while simultaneously forcing out hot, muggy air. Furthermore, the shorts are constructed with a mechanical stretch fabric that moves better in every direction, allowing you to move and stretch freely without encountering any restrictions. A built-in inner brief provides superb comfort and security as well as helps with moisture wicking while lastly, reflective details enhance your visibility during low-light conditions. High Comfort Mesh Inserts - Provides strategic ventilation. Mechanical Stretch Fabric - Moves better in every direction without restriction. Built-In Inner Brief - Offers superb comfort and security. Material Composition - 100% Polyester.